Research shows that patients who are physically active recover quicker from their injuries and are less likely to experience a re-aggravation of their condition. We develop and implement exercise programs for our patients resulting in many positive outcomes including weight loss, lower blood pressure and decreased use of medications. We are proud to offer this medical/fitness approach at Performance Therapies, providing the best care for our patients as they embark on their own exercise program. 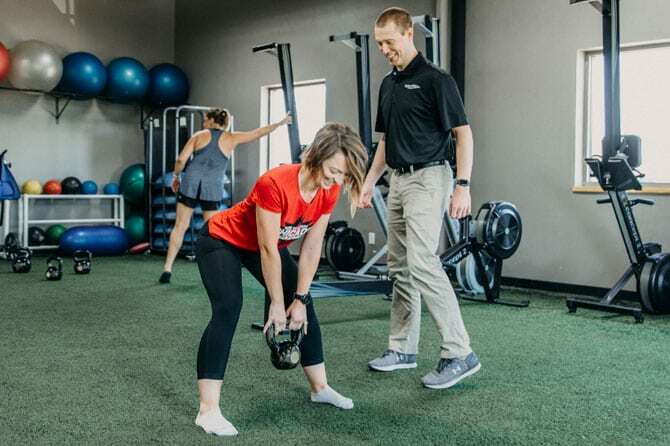 In 2002, we opened our Cedar Rapids Performance Therapies clinic which offers physical therapy, athletic training, sports performance enhancement training and personal training. In 2008, we opened Performance Health & Fitness in Coralville bringing it together with Performance Therapies. This 25,000-square-foot health club means our patients have access to highly trained physical therapists, athletic trainers, strength & conditioning coaches and personal trainers all under one roof. We continued our expansion in 2011 when we opened a clinic in Kalona. We are thrilled to be able to be a part of this great community working both with patients at our clinic and athletes at the local schools. In 2015, we opened our Hiawatha Performance Therapies clinic, expanding our ability to treat patients and athletes throughout the Cedar Rapids area.